To schedule sump pump services or to hire an emergency plumber in the event of a sump pump malfunction, call Star Cities Plumbing & Heating. We will respond to your needs quickly and at a very affordable rate. New York City sees a substantial amount of rainfall and moisture. 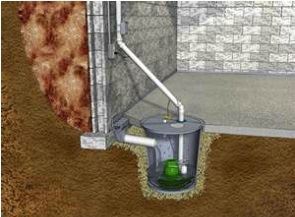 This means a functional sump pump is necessary to keep basements clear of flood water. When your sump pump stops working, you may start to worry. Instead of panicking, call us and we will send a plumber to fix your problem and have your sump pump working as good as new. You never have to worry about being swamped by your plumbing or heating emergency when you trust Star Cities Plumbing & Heating. As a certified New York City plumbing company we can provide the best options when you are facing a water-logged disaster. Sump pumps never seem to pick a convenient time to break down, but you can be proactive by scheduling routine maintenance and inspection visits. Rather than waiting for the rains to come and discovering your sump pump is malfunctioning, you can prevent potentially costly malfunctions before your sump pump is needed. Your old sump pump may need to be replaced. If that is the case, we will be on the job as soon as possible. We can give you honest and accurate advice about what kind of pump to purchase, and how to make sure your new pump is long-lived. Star Cities Plumbing & Heating is here to provide you with excellent sump pump services as well as an emergency plumber for the most stressful and inconvenient plumbing situations. To make an appointment or to request the emergency assistance of a New York City plumber from Star Cities Plumbing & Heating, call 800-547-1422 or contact us online.